Many people have been fascinated by this unexplained natural phenomenon and have come up with all kinds of theories, trying to figure out the origin of the enigmatic circles. 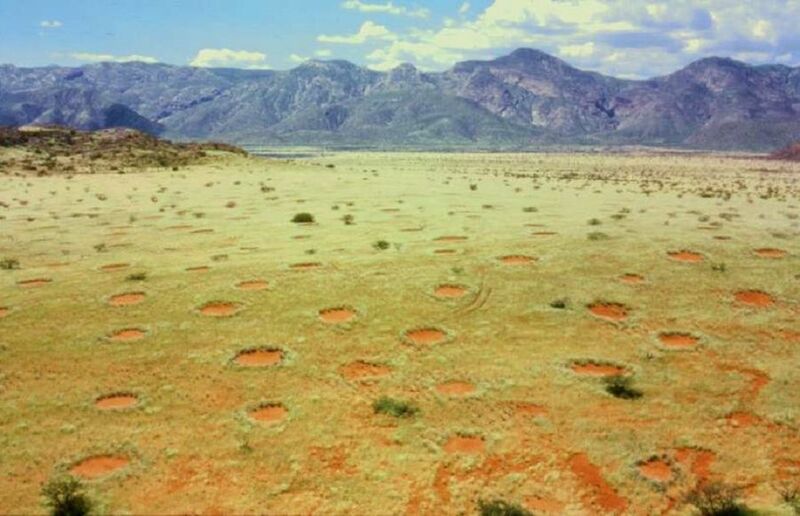 For centuries, fairy circles have been a subject of superstition for the indigenous people of the area, the Himba, who considered them to be the work of an underground dragon or the footprints of the gods. At the same time, the scientific community tends to think that fairy circles were caused by termite or ant activity. There are also many alternative versions that link this unusual phenomenon to radiation, underground gas and even aliens. Still, no one knows for sure what caused these circular barren patches of land to appear, and till now, the fairy circles of Namibia’s desert were believed to be the only ones of their kind. However, it turns out that they are not that unique as similar patterns were discovered in the Western Australian outback, according to a study published in the journal Proceedings of the National Academy of Sciences. “We couldn’t believe it—the Namibia fairy circles are supposed to be the only ones in the world,” Dr. Stephan Getzin, study co-author and ecologist at the Helmholtz Center for Environmental Research in Germany, told the Smithsonian Magazine. 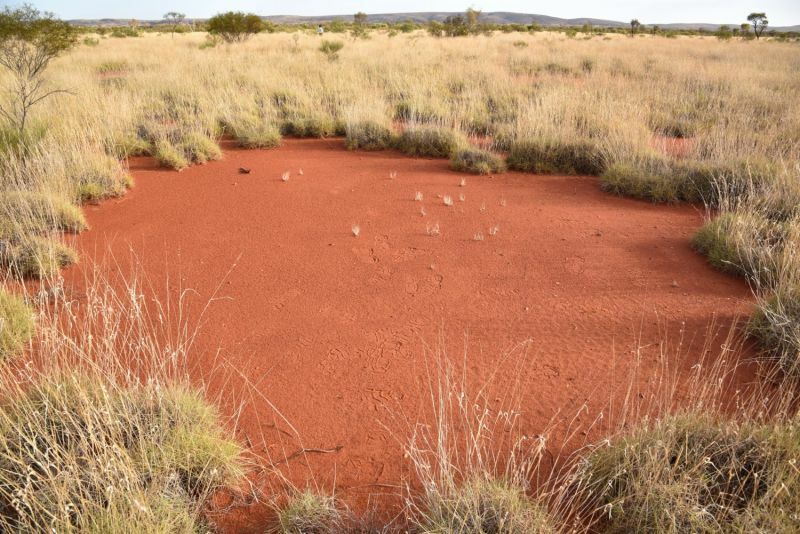 The Australian fairy circles are very similar to the Namibian ones. These circles of grassless land are separated from each other by about 30 feet of space and most of them are large enough to fit a minivan. All fairy circles are arranged in a hexagonal pattern, which reminds a honeycomb. According to Dr. Getzin, the discovery of the Australian fairy circles suggests a different explanation of this intriguing natural phenomenon. The researchers think that the answer lies in the self-organization of plants. In other words, in the attempt to adapt to the difficult conditions of the desert, the grass is self-organized in this pattern to best take advantage of water resources. “The amount of water available at the transition between desert and grassland isn’t enough for continuous vegetation cover. So the individual plants compete for the precious water and, therefore, organize themselves in this characteristic grass carpet with holes in it,” Dr. Getzin explained in a press release. 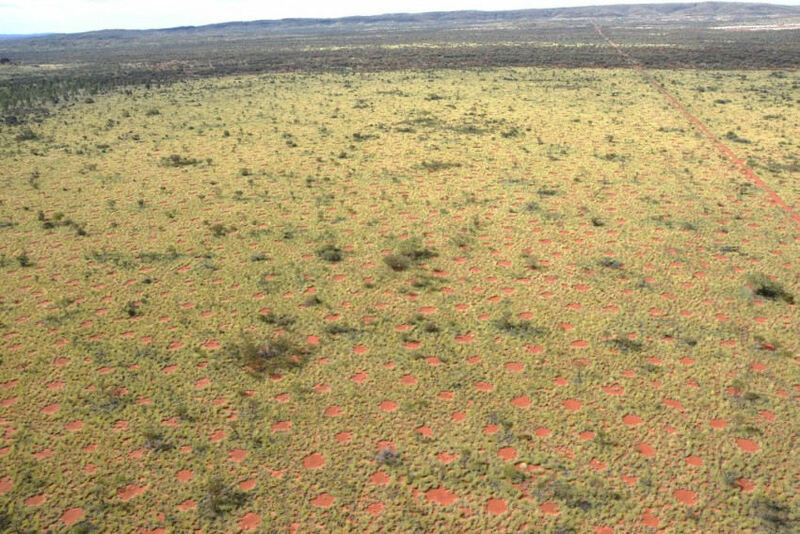 Moreover, the discovery of fairy circles in Australia also points to the possibility that these patterns may exist in other parts of the world. “I suspect there are more fairy circle patterns — it’s a matter of searching,” Dr. Getzin told the Smithsonian Magazine. However, these new findings still remain just a theory and further research is required to shed more light on these enigmatic circles and explore the ways nature (or something else) could have created them.